It can be truly bizzare when old things meet new things. On the outside it looks like a fairly normal elevator – and indeed, for six days of the week it is. You push the button and patiently wait, and soon the elevator will reach your floor and the doors will open. But on the Sabbath, this elevator does not behave like a normal elevator at all! For on the Sabbath Days many orthodox Jewish people are prohibited by their religious beliefs from pushing buttons. 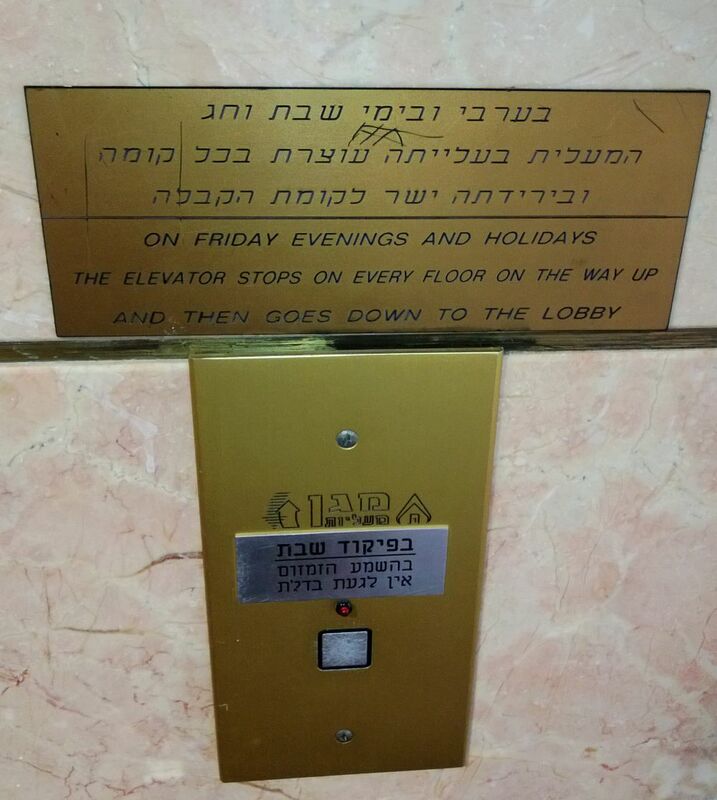 Therefore, on the Sabbath, this elevator will run continuously for 24 hours, going from the basement to the top floor and then back down again – stopping at each and every floor, where the doors open automatically, regardless of whether anyone gets in or out. I find it is wonderful that we humans are smart enough to have technology like this. But I also find it amazing and interesting that things like this can be the modern day consequences of ancient religious laws set down thousands of years ago! By the way, you can find lots of interesting information about Jewish traditions here. There are so many amazing things associated with this church – my blog is too small to hold them all! 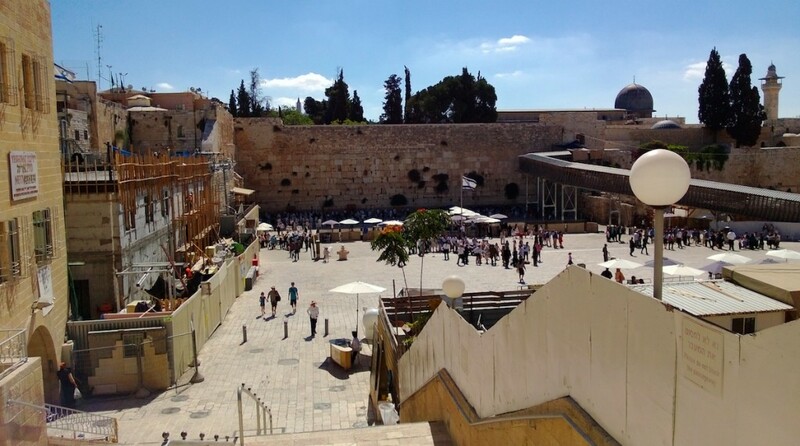 Top of the list: Christians will immediate cite this as the location where Jesus was crucified, and where his empty tomb was discovered. By my favorite fact is an historical one, not a religious one. 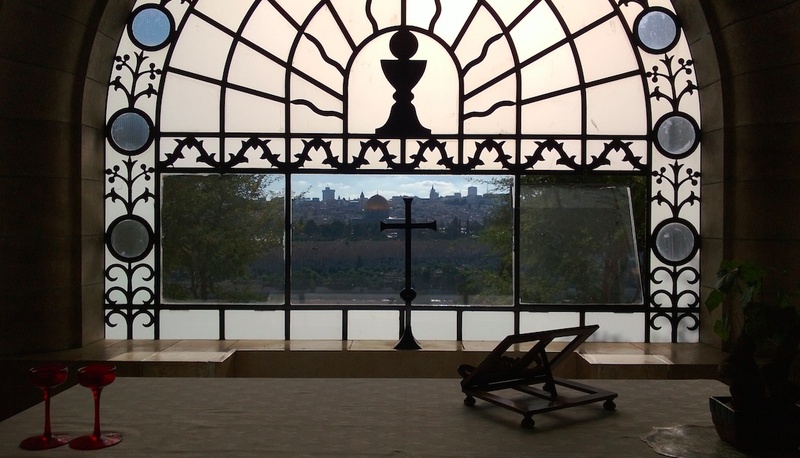 The Church is locked in the evening and opened again in the morning, and the holders of the key (the lockers / unlockers, if you will) have come from the same family (the Nusaybah family) and have been doing this job since the seventh century. Amazing! 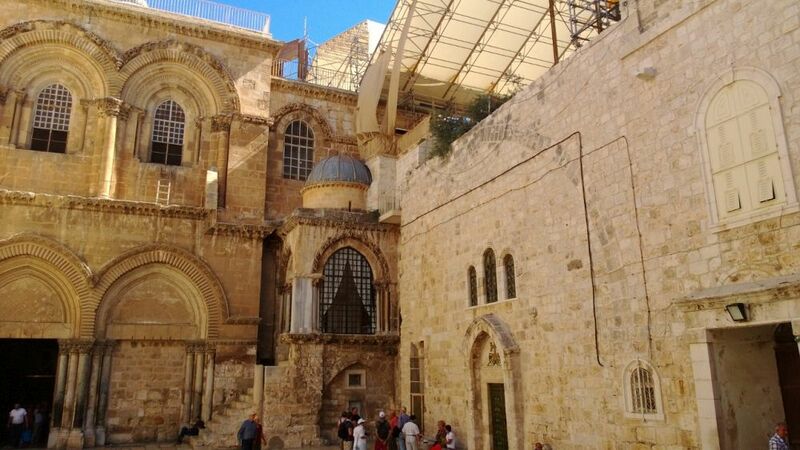 I’ve found the best place to read more details about this amazing story is the wonderful book by Simon Montefiori, entitles Jerusalem: the Biography.